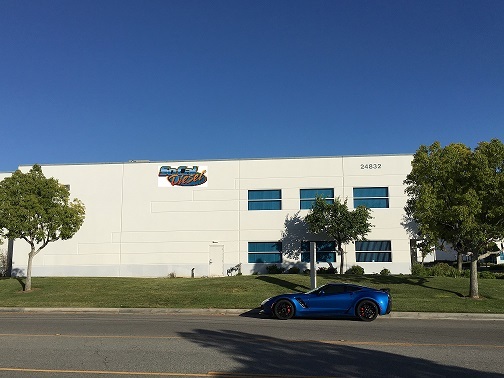 26 years of high performance automotive cylinder head and related parts engineering, design and manufacturing can be found here at Advanced Motorsports Technology and its subsidiary SoCal Diesel. Our President, Guy Tripp, started his career as a high performance engine builder and automotive machinist in 1980 while studying Mechanical Engineering at Cal State University, Northridge. In 1982, Guy accepted a position at Airflow Research as a machinist. At that time Airflow Research was recognized as one of the top cylinder head porting companies in the country. They were the only company at that time that was capable of CNC porting cylinder heads. During the early to mid 1980s AFR was under contract to General Motors to design the ports and develop the small block Chevy aluminum cylinder head for use in NASCAR Winston Cup racing. In 1986, Guy set up a state of the art Superflow 901 Engine dyno cell. What began as a test only facility quickly evolved into Guy building competitive racing engines for many of the West Coast’s top racers in both NHRA and NASCAR. The next few years Guy was promoted to Vice President in charge of Engineering. In this position, Guy was responsible for digitizing internal port cavity designs; creating surface models; designing fixturing, providing specifications for tooling, and writing programs to machine these features. This included an internal cavity known as the “water jacket”. Guy was also responsible for the majority of the external design with regard to rocker arm geometry, valve heights, spring heights, bolt hole locations as well as their relationship to the existing engine. Guy had the primary responsibility for interfacing with the “foundry tooling maker” for having the molds made to cast these parts as well as making sure they emulated the original design and were production ready. Guy was responsible for deciding which CNC machines to purchase and how they would fit into or improve the existing production line; and, once the part was in production he was responsible for troubleshooting any problems that may arise. 1. The SBC cylinder head manufacturing process being refined and perfected. These cylinder heads later became the first emission legal aftermarket aluminum cylinder heads available in the country. Featuring a 55 RWHP increase and staying within all applicable emission standards made these a very popular choice with performance enthusiasts all over the world. 2. The small block Ford line of cylinder heads were released to the market. Again, as the first in the industry to offer an emission legal high performance cylinder head, the Ford community quickly became huge fans of this innovative product. 3. Guy leading the team in the manufacture of a Big Block Chevrolet line of aluminum cylinder heads to the market. This line of cylinder heads quickly rose to the top of the industry and raised the bar for other manufacturers to try and meet. 4. Guy leading the team in the design and manufacturing of an LS-1 Gen 3 aluminum cylinder head line. These were the first aftermarket aluminum cylinder heads for the Gen 3 engine. They were emission legal and featured many innovative qualities. Once again these cylinder heads quickly became the must-have item for any serious LS-1 build up. Guy also had many other accomplishments in the industry. In 1994, further expanded his machining abilities to include simultaneous 5 axis CNC cylinder head porting. At this time there were less than a handful of companies that could accomplish this very difficult machining operation. In 1996, Guy was granted his first United States Patent for a hydraulic roller valve train stabilization device known as the Hydra-Rev. This device is still manufactured and marketed today. In 1997, Guy pioneered the fixturing and programming of a Haas HS-1R horizontal machining center for simultaneous 5 axis CNC porting of cylinder heads. This machine and fixturing would become the industry standard for this type of cylinder head work. In 1999, Guy’s extensive experience was put to the test: to program and fixture the first of two MAZAK pallet changing CNC machining centers. These machining cells were capable of processing 20 cylinder head castings at one time. In 2001, after spending many years in the dyno cell and at the race track testing, Guy realized a life long dream of competing in a NASCAR stock car. He began his driving career in the Modified Four division at Irwindale Speedway in California. The 2001 racing season saw Guy set many track qualifying records and win the series championship in only his first year of competition. The 2002 racing season was more of the same. In 2003, constantly challenging himself, Guy and his racing team moved up to the Late Model stock car division at Irwindale Speedway. Guy qualified second in his second race in this brand new car during an open comp race at Mesa Marin Speedway in Bakersfield, California where more than 60 cars were trying to make a 30 car field during the October Classic. This was a ½ mile high banked track that Guy had only driven once before. The 2003 racing season saw Guy take the “Rookie of the Year” honors in this very competitive division at Irwindale Speedway’s extremely fast ½ mile race track. In 2004, Guy discovered his passion for Diesel performance by modifying his 2003 Chevy Silverado pickup powered by a Duramax Diesel and Allison transmission. Since then Guy has applied his technical knowledge and experience to furthering the performance of the Duramax diesel engine. In 2005, Guy set his sights on the design of a Robotic CNC manufacturing cell. This cell would feature four 630mm Horizontal pallet changing machines fed by 3 robots. The cell would be capable of running completely unattended by humans for days at a time and would include “in process” quality control inspection using a state of the art CMM. Literally, raw castings would be stacked at one end and complete machined and inspected cylinder head castings would be fed out and automatically stacked at the other end without human intervention. In June of 2006, Guy launched “Advanced Motorsports Technology” and the “SoCal Diesel” line of products in order to apply many of the concepts and technology that he has pioneered in his career to the Diesel performance market. SoCal Diesel was the first to release CNC ported Duramax cylinder heads to the market. SoCal Diesel also worked very closely with the EFILive team in New Zealand in order to make Duramax engine tuning software available to the general public. The results of Guy’s efforts in Duramax performance can be further explored on this web site. Starting with CNC ported Duramax cylinder heads and a complete line of supporting parts, SoCal Diesel is the #1 place to come for your Duramax performance needs.